Izumi is a company established by professional inventor Vladimir Markovic. 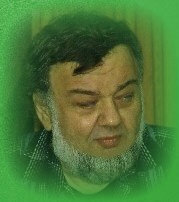 He is involved in inventions, research, development and innovations since longer than 35 years. In all his career, he participated in several very different fields of technology: Boring, drilling and punching of soil in horizontal and vertical direction; Driving systems and drives for propelling of vehicles by means of human body power; Exploitation, transport and cleaning of water; Different orthopedic products including manual and power driven wheelchairs. Guiding idea of all his activities is his opinion, that Physics is fundamental knowledge of the Universe. Therefore all his creations presented in more than 150 applied patents were based upon strict connection between existing laws of Physics, practical knowledge and know - how. Copyright 2008 izUMi. All rights reserved.